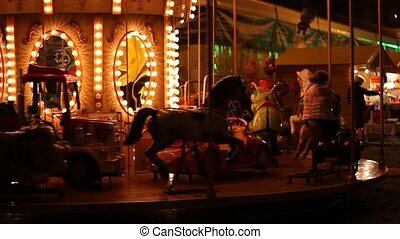 Driving minicars at amusement park. Having fun at the amusemnt park, while driving the electric bumper cars, the kids and their parents. Having fun at the amusemnt park, while driving the electric bumper cars, the kids and their parents. 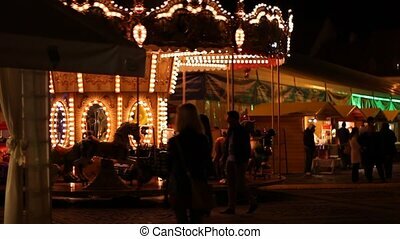 Spinning carousel at an amusement park, by night. 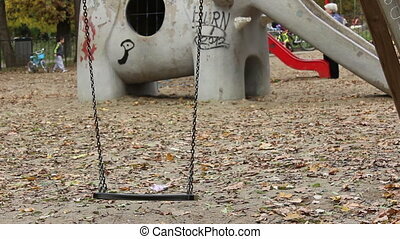 A fresh swing left swaying in the children's playground in the park. 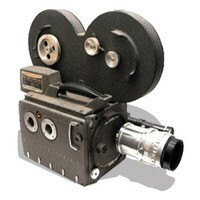 Can be used as video methaphor for "the missing child, the unborn, the no child situations." etc. Little baby with hat and red jacket, on cold sunny day, at the playground with mom. Pillar with bearings of a chairlift track. 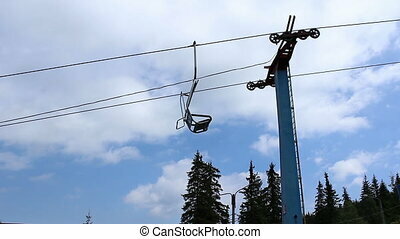 An elevated passenger ropeway, or chairlift, is a type of aerial lift, which consists of a continuously circulating steel cable loop strung between two end terminals and usually over intermediate towers, carrying a series of chairs. 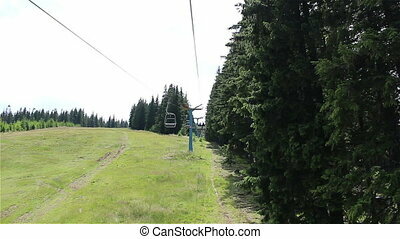 They are the primary onhill transport at most ski areas (in such cases referred to as 'skilifts'), but are also found at amusement parks, various tourist attractions%u2014and increasingly%u2014in urban transport. 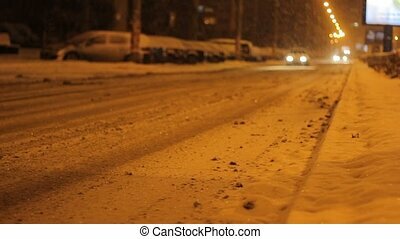 Abundant snow begins to settle on the surface of the road, at night on an important avenue of the city.